Give To Yourself - Tis The Season! This holiday season, what ways are you going to give back to yourself? How are you going to take care of yourself? Get on your own “never-ending to-do list” and find the life balance you long for. I'm here to help you to give to your self and offer you fantastic ideas on how to bring YOU to the top of your “to-do list”. As we approach the winter solstice (first day of winter, December 21st) and all the holidays that surround it, it is easy to get distracted from self-care. A calm and balanced mind, body and spirit can be a challenge to maintain during the holiday season. The natural flow of life goes within, it is known as hibernation. The most important gift you can give to both your family and friends is the proper care and maintenance of yourself. It is easy to allow the many distractions of life to draw your attention away from your own health and wellness particularly during the holiday season. • Take time each day for at least one peaceful meal. Whatever you stop doing to enjoy your meal will be waiting for you when you return. • Have a holiday decorating party and invite only friends who will have you doubled over in laughter. You will be able to scratch decorating off of your to-do list and have a fun time in the process. • Make a stop at a sacred place and listen to the silence. In the midst of all of the hustle and bustle the sound of silence will be rejuvenating. Moving away from stress for short periods of time allows you to return to the things that need to be done with a sense of renewal. Your physical, mental and emotional health and well-being is the most important gift you can give to both yourself and the people around you. Do what you’re passionate about, do what excites you right now. Create something amazing. Pour yourself energetically into a project. Build something new. And what you think you’re creating might turn out to be completely different from what emerges, but you’ll have fun doing it and something even better might be revealed. ° Give yourself the gift of extra pampering. Pay more attention to soothing activities like a long, leisurely soak in the tub. Pamper yourself, too, by watching what you eat and drink. Your nutritional well-being may dissolve when confronting a Yuletide dessert table. Maintain a moderate approach and offset the damage with extra vitamins and healthy foods. When things go wrong or not according to plan, don’t forget to keep laughing. Joy, delight and wonder exist when we make an effort to welcome them. Determine now that you will, indeed, make this the best holiday season ever. Relax, smile and enjoy all of the giving and receiving that come with this time of year. In so doing, you’ll give yourself and the people you love a holiday season that will be fondly remembered for years. I give you permission to chill out. 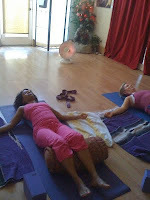 Enjoy this restorative posture to re-fresh your mind, body and spirit for your Fall fresh start. Shifting your body for the seasonal change. In this pose we are practicing what yogis refer to as "deliberate stillness." 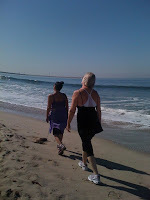 We give the mind and body a chance to integrate and also let go of the past. If you have trouble sleeping soundly, practice this pose before going to bed or if you cannot fall back asleep. How to Practice: Place a bolster or two folded blankets about 2 inches away from the wall. Sit sideways on the bolster so your right hip and side are touching the wall. With the bolster under your bottom, lower yourself back, using the support of your elbows and forearms, and swivel around to take your right leg and then your left leg up the wall. Stay in the pose for 10 minutes or longer. If you are tired, it is natural to fall asleep in this pose. When you are ready to come out, bend your knees, turn to your side, and relax on the floor for a few more breaths before you slowly sit up. Labels: Yoga "Yoga Flava" "Yoga Flava TV" "Robin Downes" "Robin Downes' Yoga Flava" "stress reduction" relaxation rejuvenation feet legs "legs up the wall" pose asana "viparita Karani"
The fall season has always felt like a better opportunity for a fresh start than the New Year. First of all, you arrive at autumn from summer, which is typically a more relaxed precursor than the holidays. Second, there’s something about the crisp cool air, the cozy clothing, the warm apple cider and pumpkins that evokes freshness. It’s a great time to make some changes and clear your head. Cue Yoga Sutra 1.2 yogaś citta-vṛtti-nirodhaḥ: Yoga is the cessation of the fluctuations of the mind. YOGAŚ CITTA VRITTI NIRODHAH, shown in Sanskrit above, is from the Yoga Sutras authored by the ancient sage Patanjali. The Yoga Sutras are the guidebook of classical or Raja (royal) yoga. Written at least 1,700 years ago, the Sutras are made up of 195 aphorisms (sutras), or words of wisdom. The power of philosophy lies in its application to our everyday lives, the ‘a-ha’ moment when the esoteric suddenly makes sense. Many yogis shy away from the philosophy behind yoga because they only find the asana (physical poses) relevant and beneficial. And I’ll admit, cracking open Patanjali’s Yoga Sutras isn’t exactly easy reading. 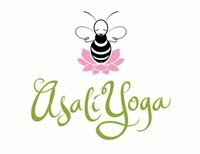 Well, it’s fall, so even if you’re not officially back to school, why not delve into a bit of yoga philosophy to deepen your practice, and discover your own a-ha moment to apply both on and off the mat. So, to answer the question of what is the ultimate goal of yoga, we really don’t need to go far from the simple sutra (and therefore one of my faves), yoga is the cessation of the fluctuations of the mind. The ultimate goal of yoga can be incorporated into your daily life; everyday through our yoga practice we are able to experience a taste of this peace of mind. Some days it won’t happen, and most times it will only be fleeting – we may not even notice until long after – but the possibility is enough to keep us coming back to our mat. Think about how hard it is to dwell on your never-ending to-do list when you are trying to balance on one foot in vrksasana, tree pose. When you balance here, your mind clears and you get a taste of your own Samadhi. These small experiences we have with peace positively affect our lives and lead to bigger experiences and effects with time; simply put, it all adds up. If we try to assign one all-encompassing goal to yoga, we’ll only get discouraged because it’s too darn lofty and unattainable, as is “perfect” Samadhi. Yoga has worked for thousands of years because the goal is actually within everyone’s reach, every day. Put this philosophy into practice on your mat this fall, and stop your mind from swirling with yoga. Even if it’s only for a minute, those minutes will eventually add up. There is a 5th season in Chinese Medicine – Late Summer. It begins late August through Autumn Equinox. 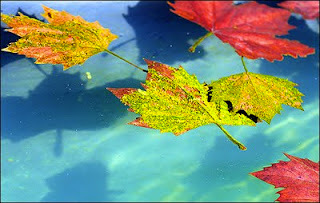 This years Autumn (Fall) begins on September 23, 5:05 A.M. EDT. Chinese Medicine believes Late Summer belongs to Earth elements. This is when Earth's luscious fruits and vegetables are bursting for harvest. Make sure you get proper rest, exercise, stress reduction and nutrition to boost your energy in this Earth time. Yoga poses can be used to target Kidney, Spleen and Lung areas to release, tonify and regulate these energy centers. Over-exertion can deplete energy and fatigue muscles, while Yoga can help regulate, nourish and replenish energy. Poor circulation can lead to fatigue, and Yoga can increase the flow of blood, oxygen and nutrients throughout the body, helping cells produce energy. The calming and regulating effects of Restorative Yoga can facilitate healing and provide a deep sense of rest to the body. In Chinese anatomy, Earth is represented by the organs of Stomach, Spleen, Kidney and Lungs. 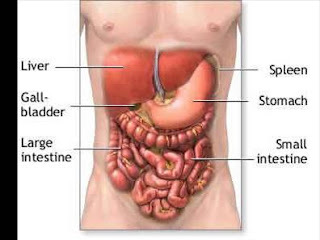 They build and maintain the entire body: Stomach is where food is prepared for absorption, and Spleen helps absorb nutrients, feeding muscle and blood. The Liver is responsible for the free flow of energy through the body. Kidneys are the foundation of all energy in the body and are the source and storehouse of Chi (energy). Lungs transform the air we breathe into energy and circulates it through the body. 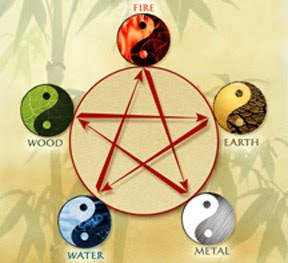 When Earth elements are imbalanced, we worry or have excessive mental agitation, lack of concentration or memory loss. We feel needy for food or attention, seeking sympathy or distraction. An imbalance in Earth can manifest in exhaustion, loss of appetite, poor digestion or loose stools and diarrhea, easy bruising, excess menstrual flow or other bleeding disorders. Taking care of Earth elements reaps an inner harvest : energy to complete projects and fulfill needs, contentment and love of Life. With healthy Earth elements, you feel at home in all situations, enjoying your efforts and have the space to love, relax, and nourish self, family and friends. During harvest we store foods to nourish through the winter ahead, and it is time to harvest and reflect. 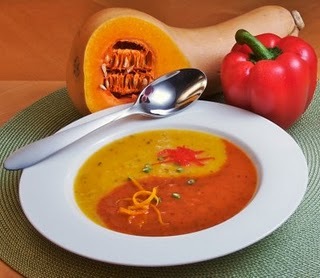 Orange and Yellow are the colors connected with Late Summer, following the fiery reds of Summer and preceding the white/off-whites of Autumn’s healing foods. Don’t combine too many ingredients and keep your flavors moderate. This season is associated with sweetness, to balance the bitterness of Summer and before Autumn’s pungent quality. Sweets and processed/refined foods can aggravates the pancreas and spleen, irritate the stomach, and create excessive acid and “dampness”, resulting in feeling more anxious, tired and unwell. Resist icy sweet drinks, as the cold and sweetness put stress on the digestive system and Earth organs.
. Be moderate with sugar, fried foods, and dairy. In hot, humid weather, avoid overeating. Lightly cooked food on moderate temperature is easier on digestive system. Eat sour or pungent flavors to help disperse dampness and regulate digestion. Get exercise as dampness tends to settle in and make you feel lethargic. When Earth is off balance, internal cycles may suffer – Earth energy can be over stimulated with hot spices and caffeine. Earth thrives on routine rhythms, which settles the nervous system, stabilizes blood sugars and lowers blood pressure. 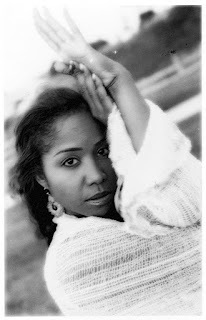 Balancing work, socializing and self care is essential for healthy body, mind and spirit. • Eating fruit, raw and steamed vegetables, salads, juices, herbal teas. • Take 2 tablespoons of olive oil at bedtime. • Take 8 oz. 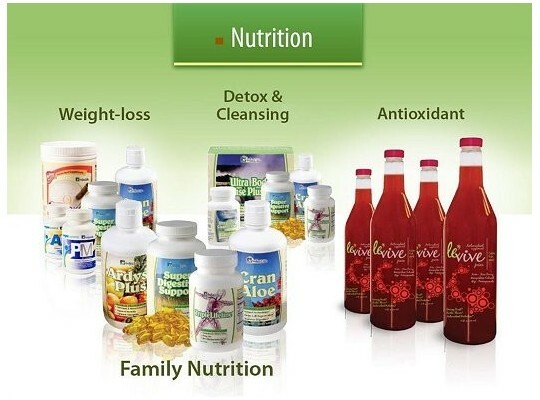 of prune juice in the mornings and herbal laxatives or laxative teas nightly. AVOID: Potatoes, bananas, all grains, pasta, meat, cheese, dairy, processed food and eliminate caffeine and alcohol. DO EAT: Fish, organic steamed edamomie and sprouts for protein. Meditate / Be Still for 5 - 15 minutes. Let's talk about a customized Revitalization Program for YOU! 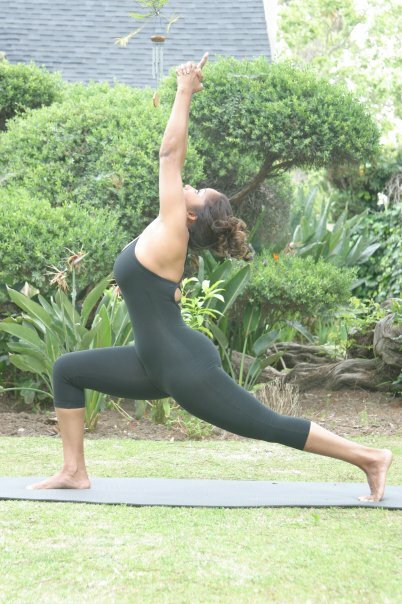 Email: robin@yogaflava.com or Call (310) 266-7362 for a FREE initial consultation. Get A Fresh Start For Fall 2011! 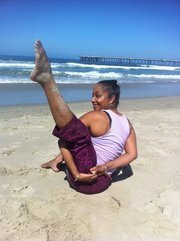 Yoga Flava Sessions. October 14, 21, 28. November 4,11,18, 25. December 2, 9, 16. October 15, 22, 29. November 5, 12, 19, 26. December 3, 10, 17. October 16, 23, 30. November 6, 13, 20, 27. December 4, 11, 18. 243 west 135th street Garden Floor. 10 Week Series- October 19, 26, November 2,9,16, 23, 30. December 7, 14, 21. Having the ability to relax, gives you the ease to be dynamic. Free Invitation - Sept. 24 - Pamper Party - Fall Fresh Start! WHAT: Yoga Flava Pamper Party! *Come let me pamper you. WHY: To encourage a fresh start to your health and wellness plan in sync with the Autumnal Equinox (Fall Season). 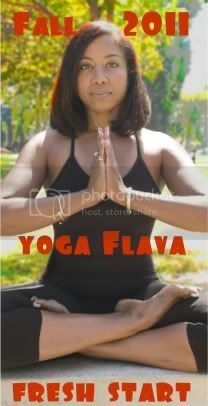 Bring a friend and introduce them to the Yoga Flava experience. Sign up for Fall sessions and receive a discount. Find out about cross-promtional opportunities for your brand. An intimate environment for relaxation and networking. and sign up to reserve you space now! You Can Create What You Want! The beginning of the week should be a time of excitement for all the possibilities that a new week represents. With a sense of focus and purpose, you can create what you want. AFFIRMATION FOR TODAY: I Am An Unlimited Being. I Can Create What I Want. Be patient and joyful with the process. Cultivate a sense of ease for the process, the journey, to allow what you want to flow into your life. One day at a time or even break it down to one minute at a time. Move toward your goals with clarity and calm. A yoga practice helps to release some of the unconscious tension that gets held in the body so that you can experience life with a greater sense of ease to create what you want. Maji Sports™ is a company focused on innovating and selling research based performance gear for Yoga Athletes. They believe that Yoga is a sport and people who practice yoga are Athletes. Yoga Athletes require functional gear to reach peak performance. Maji Sports™ has spent millions of dollars in Research & Development and worked with an Orthopedic Surgeon, Physical Therapist and Yoga Athletes to develop the revolutionary Patent Pending MajiMat™. The Patent Pending MajiMat™ is designed to provide superior support, cushioned protection and to minimize knee injuries. The traditional yoga mat, which has not fundamentally changed in decades, has many short comings and is inadequate when it comes to providing protection from demanding poses and poses that puts significant stress on knees, joints and bones. The yoga mats that exist in the market today have not been designed to provide ergonomic cushioning and protection from potential injuries. For too long yoga athletes have interrupted their flow by skipping poses, rolling a towel or folding their mats to minimize pain and to avoid injuries. Prolonged practice without appropriate protection for bones and joints can lead to long-term injuries. Today Yoga is practiced by 12-15 million people in the United States and many of these people are trying yoga for the first time and adding the practice of yoga to their weekly exercise routines. We at Maji Sports™ understand the Yoga Athletes of today and our mission is to design performance yoga products that allow Yoga Athletes to perform and provide the right support and protection to. Yoga is a lifestyle that will improve and contribute to a long healthy life and now with the MajiMat™ you can have happy knees, avoid injuries and focus on your flow while practicing yoga. At Maji Sports™ believes that all human beings and businesses have the responsibility to care for the environment and to contribute to a better world for the generations to come. Maji Sports™ is committed to eco and socially conscious business. Because they believe that entrepreneurship is one of the great ways to fulfill one's dream and improve the community, we plan to use a portion of our sales to provide micro-loans to entrepreneurs in 3rd world countries and donate to charity. On our micro-loan project we will be working through Kiva.org to provide loans to entrepreneurs worldwide. They choose the name Maji because it means “water” in Swahili, and water is life and we strongly believe that all human beings should have access to clean drinking water. Almost a billion people on the planet don’t have access to clean drinking water. Unsafe water and a lack of basic sanitation cause 80% of all disease and kill more people than all forms of violence, including war. We want to do our share to change that, so we will donate a portion of our sales to Charity Water and Water Wells for Africa, in turn, helping improve the quality of life for millions. Loosen Up And Enjoy Summertime! Confirm you will "attend" and secure your reservation. Investment for commitment to full 3 week series: $30.00 by August 12th, non-refundable. You will need to bring your own Yoga mat and supplies. There is a changing room. *Please take advantage of this recession-buster price as we build an ongoing group. Deadline: Please confirm your payment by 3 p.m. the day before each class you will be attending. ****Please note plans are in the works for 2011 End of Summer / Fall Sessions. Invitation To "Restore By The Shore" FREE RECEPTION TODAY! ALMOST SOLD OUT! Pre Pay To Secure Your Reservation! 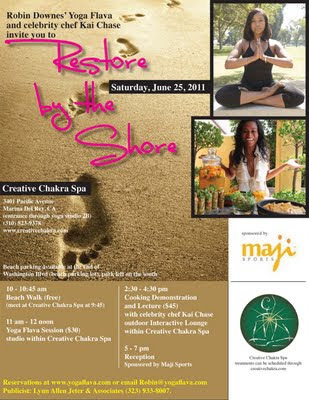 We're almost sold out and I know you had expressed interest in attending this healing event. Therefore, I wanted to let you know that we only have six slots available on a first come first served basis. Pre payment is required to secure your reservation. Please check out the payment options below. If you have any questions or comments, please don't hesitate to call 310-266-7362 or email robin@yogaflava.com. Yogic wisdom recommends working with the body's natural sensual shifts that occur at the juncture of seasons. During this Summer Solstice weekend, we will learn tools to clear out excesses and toxins accumulated over the first part of the year. It will include morning beach walk, self reflection, Yoga Flava ™ session with ancient moves to some Michael Jackson grooves. Closing with guided meditation. OUTDOOR INTERACTIVE TASTING LOUNGE AND LECTURE With June 25th 2011 marking the 2nd anniversary of Michael Jackson’s passing, Chef Kai celebrates his legacy and supports his views on “Making Time For The Family Table,” with an interactive-cooking lounge of her New American cuisine and the health-comforting meals that she prepared for the King his children and other celebrity clientele families. Also, let me know if you would like to schedule a Spa treatment at Creative Chakra Spa. Maji Sports™ (www.majisports.com) is a company focused on innovating and selling research based performance gear for Yoga Athletes. Yoga is a lifestyle that will improve and contribute to a long healthy life and now with the MajiMat™ you can have happy knees, avoid injuries and focus on your flow while practicing yoga. I am delighted to help you customize your retreat package.